For starters, my boyfriend Arnaud and I bought an artificial Christmas tree for our apartment. You can find real trees here in Panama, but I’m not sure how one would survive in our air-condition-less apartment up in the “jungle.” To compensate for the lack of Christmas-tree aroma at home, I’m finding many excuses to pass by our real fir tree in the Live and Invest Overseas office. 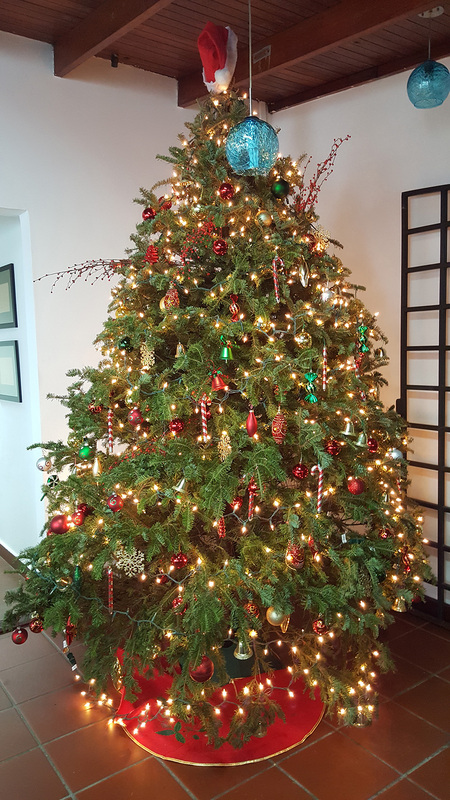 The office tree—how did we get it through the door? My quest for an Advent calendar in Panama was a failure… but, dedicated to the cause, I’m still managing to eat a treat a day (I’ll just have to remember to stop on Dec. 25). In France, our main Christmas celebration is dinner on Christmas Eve that lasts until after midnight. Lunch on Dec. 25 is usually celebrated with the other part of the family—and you alternate every other year. After dinner, we’ll open presents and will probably go out… I’ve come to understand that Christmas Eve here in Panama is for partying. While I’m looking forward to this first Christmas in the tropics, the alpine skier in me is crying out for snow. So, I’ll be back home in March to enjoy the snowy mountains. “My husband Gabriel and I were originally planning on going home to Toronto for Christmas, but his busy work schedule got in the way. So, this year, for the third year in a row (since I’ve moved here), we’ll be staying in Panama City for the holidays—celebrating with friends from the office, and with my Panamanian in-laws both on Christmas Eve and Christmas Day. “We’ll have traditional Panamanian Christmas food (tamales, rosca bread, arroz con guandú… and sangria to wash it all down), but I’ll be cooking a turkey (topped with cranberry sauce) and making stuffing from scratch to fulfill some of my wants from home. 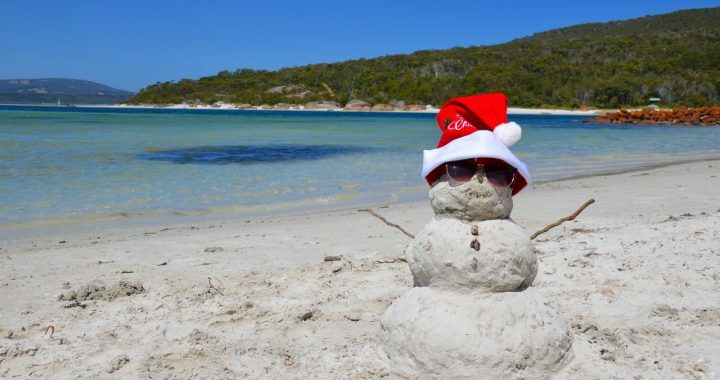 “My friends and family ask if it’s difficult to get in the Christmas spirit in the tropics. But, as a Christmas-lover, I’ve been watching Christmas movies since the start of November. And Panama City certainly doesn’t cheap out on the Christmas decorations. With (probably too much) money poured into the light spectacles around the city, and Christmas items on store shelves since September, I’m definitely in the spirit. I even found a radio station that plays classic Christmas music on my way home from work—making the city’s traffic congestion much more bearable for the holidays. Wherever and however you’re spending the holidays, dear reader… on behalf of the Live and Invest Overseas Conference Team, I wish you a very Merry Christmas. Posted in Live And Invest Overseas Confidential and tagged Christmas In France, Christmas In Panama, Christmas In The Tropics, Live And Invest Overseas, Panamanian Christmas Food.